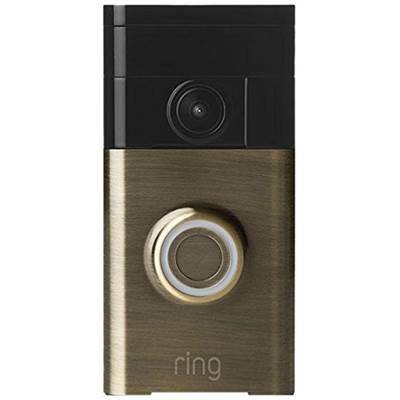 The Ring Video Doorbell is the world's first battery-operated, Wi-Fi enabled, HD video doorbell. The device enables homeowners to see and speak with visitors from anywhere in the world by streaming live audio and video of a home's front doorstep directly to the free iOS or Android app. 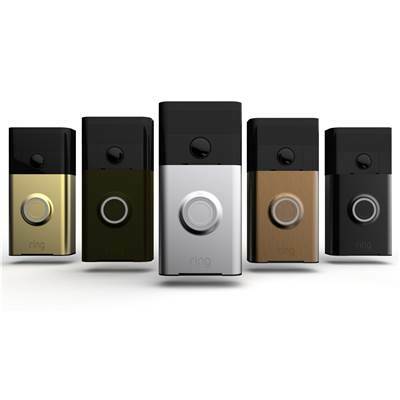 The doorbell's built-in motion sensors detect movement up to 30 feet and HD video recording stores all recorded footage to the cloud which can be accessed via the Ring app. The Ring Doorbell is quick and easy to set up as it mounts and syncs in minutes and has a built in battery, however, it can also be powered through your existing doorbell wires. Whereas traditional security systems activate once a break-in has occurred, the Ring™ Video Doorbell is designed to help you prevent a break-in from taking place at all. Answer the door from anywhere. With Ring, you’re always home. Receive instant alerts when someone rings your doorbell or motion is detected, via the free Ring™ app (iOS® and Android™). See and speak with visitors from anywhere using your smartphone, and watch recorded footage anytime with Cloud Recording.